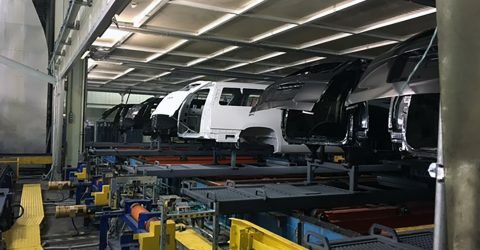 GM Arlington Assembly Plant M-5 Plant Expansion - Motor City Electric Co.
General Motors is making a $1.4 billion investment in the Arlington Assembly Plant in Texas where all of the company’s full-size SUVs are produced. The plant will gain a new body shop, a new paint shop, general assembly upgrades, retooling, and new equipment. Barton Malow awarded a $16 million electrical contract to Motor City Electric Co. and our Fort Worth-based strategic partner, Lone Star Electric (LSE), for the new body shop that covers more than 1,055,000 square feet. The undertaking is known as the M5 Project. So, just what are we doing at GM Arlington? First, Motor City Electric Utilities Co. (MCEU) is installing a new 138kV design build utility substation to replace the existing substation. This is being done in conjunction with Oncro, the local utility company. 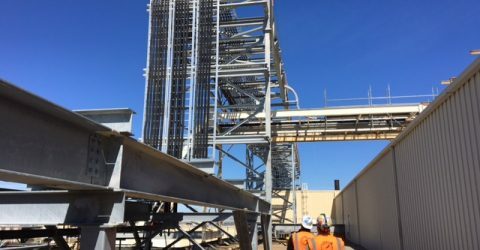 MCE is installing a new 15kV switchhouse to re-feed all the existing power required for the assembly plant with 7,000 linear feet of trestle-mounted cable and 30,000 linear feet of 750mcm interlock armored cable run from the new switchhouse to each existing and new substation. 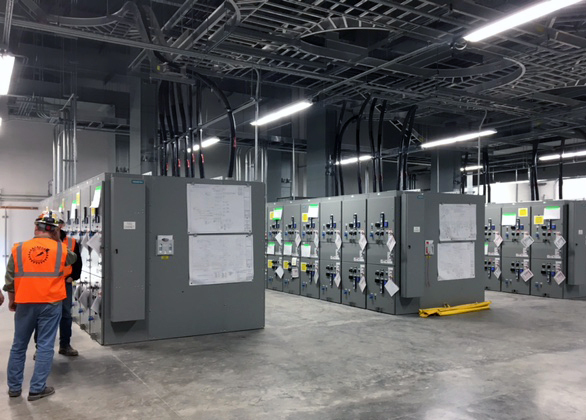 A major coordination effort is underway to ensure that the Arlington plant – one of GM’s most profitable – remains operational during all power cutovers from the existing 138kV substation to the new substation. Concurrently, most of the plant support facilities (fluid fill, scrap, chemical storage, tank farms, multiple pumping stations and vehicle repair) will be relocated and re-fed to allow for the new body shop addition. The MCE engineering staff is assisting in the design coordination and layout drawings for all the relocated GM support facilities. MCE will also install all of the required power, lighting, buss duct, fire alarm, and communication systems typically required for the body shop. Together MCE and Motor City Electric Technologies (MCET) are also installing lighting, security entrances, and security camera systems for two new parking lots to accommodate the increased number of GM employees working in the expanded plant. The current work plan calls for a constant crew of 40 installers from LSE with a peak possibility of 75. The project is scheduled for final completion early in 2018.